We have a fantastic opportunity to promote BFS, get dressed and painted up, and have some fun outwith our own festivals! BFS has been asked to perform at the Edinburgh Jazz and Blues Festival Carnival from 2pm on 20th July. We have the last position in the parade, so at the end everyone turns to watch us for a short (spontaneous, interactive) performance. 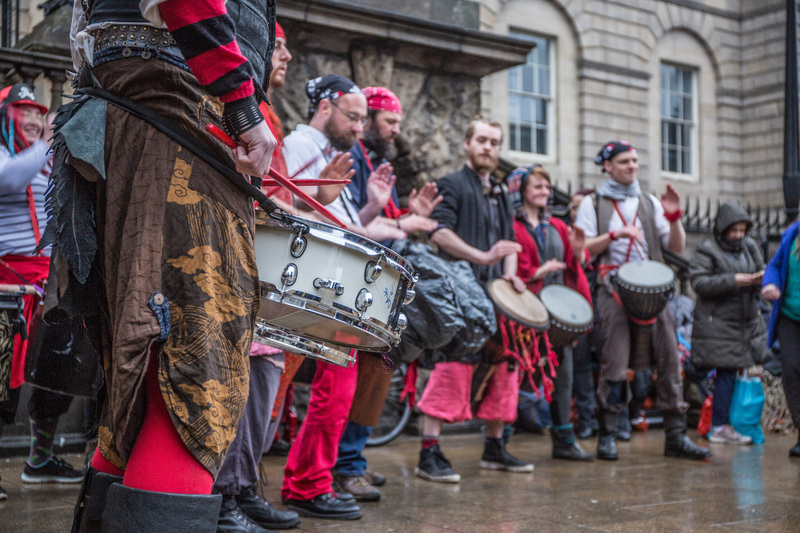 We then have a stage in Princes Street Gardens from 2.40pm until 4.15pm for drumming, dancing, and showing off. We’d like to invite all Beltaners to get in touch and take part. The carnival is hiring in 200 performers from Liverpool who are traditional ‘carnival’ people, i.e. drums, sparkly costumes, dancing…but BFS does something a bit different. Trustees Ian and Liza have already spoken to some of you, including previous Group Organisers, directly. Here are some further ideas for performances you could create or be involved with. Drumming. We definitely have at least two crews on board so far. Fab! Body paint. This is something often lacking in other cavalcades. Yes, people have awesome makeup, but full/partial/all visible-skin-covered paint is unusual. If we can get all people as painted as possible this will make us stand out. Differing heights. This is something else we rock at! Acro, stilts, banners, vertical and horizontal mash ups. We could make a beautiful moving spontaneous performance which is very different from the parade. Walking acro with differing heights, beautifully decorated banners (which we already have), lots of costumed people on stilts, and people fully costumed at street level, dancing to the drums, interacting with each other and the crowd. Also if anyone has puppets, bring it on! Interactions with the crowd. As anyone who has taken a production to the Fringe will know, it’s not about handing out flyers – it’s about actually connecting with the crowd, with the person in front of you. We would love to have some people specifically interacting with the crowd and others in walking-type roles. We’re thinking here of contrasts; the chaos and the focus; it can make a powerful performance. Poi, staff, hula-hoops etc. This is another thing we are really good at. And the performance at the end of the parade (at the end of Frederick Street) we’re allowed fire, although we’re not allowed fire in Princes Street Gardens. To have people walking and performing, and painted up, will be different. Most cavalcade performing groups only have one prop, and although their shows are tight, we have so much more depth. 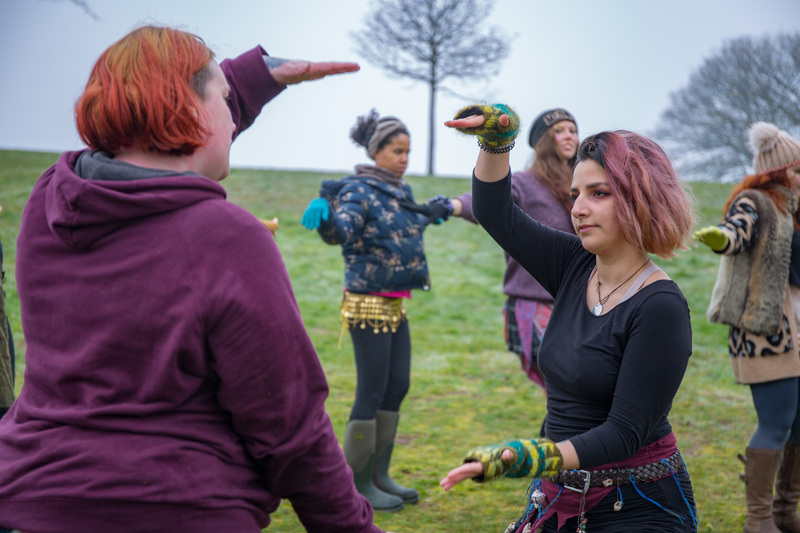 We’d love to see people showing off their skills; whether playing with fire, dancing, drumming, amazing costuming and interactions. Most of all we’d like this to be huge fun! 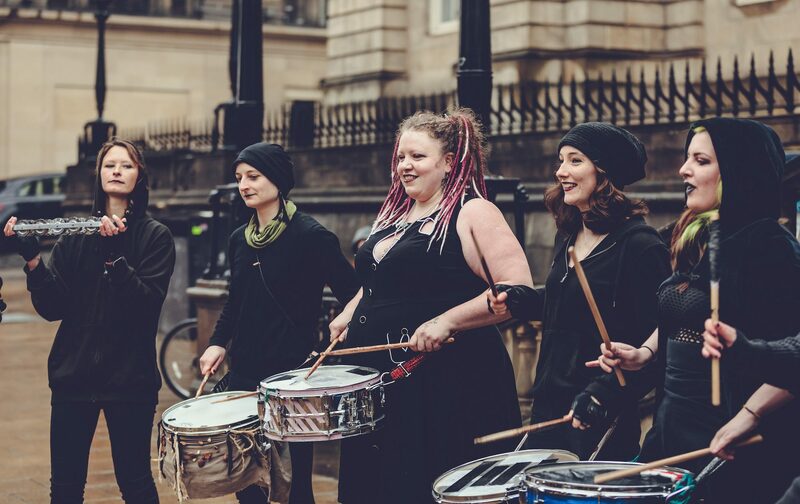 It’s a chance for BFS to show off to Edinburgh, for us to dress up on a random afternoon in July and talk to strangers, a chance to dance in Princes Street Gardens to our own drummers. 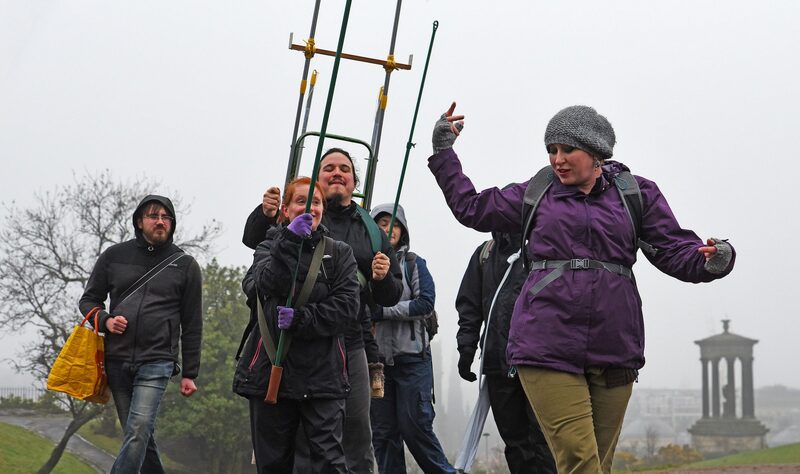 We have involvement from Blues, Beasties, Bud Om Brann, Cambium Force, No Point, Stiltwalkers, Torchbearers and Stewards so far. We’d also love to see lots of people in different costumes and body paint. Please bear in mind that costumes etc don’t have to be from this year – they can be from any BFS performance, so you can resurrect your favorite – so if you want to come along independently of your previous BFS group, please do so. If you’re not a performer but would still like to be involved, there will be plenty of opportunity to help out by chatting with the crowd and promoting our Society. If you’re interested in taking part, there will be a meeting in room 5.18 of St Margaret’s House (151 London Road, Edinburgh) at 7.30pm on Friday 11th July. Please come along to share your ideas.